July 9, 2013, 1:06 p.m. The St. Louis Beacon is one of the nation’s most prominent local news nonprofits. St. Louis Public Radio has a substantial audience. What can they do together? By Jan Schaffer @janjlab July 9, 2013, 1:06 p.m.
You can read the full report online, but we’ll be pulling out some of the most interesting elements from it here at Nieman Lab over the next few days. Today, we take a look at St. Louis, where two outlets are joining forces to expand their reach. If all goes as hoped, in coming months St. Louis Public Radio (SLPR) and the St. Louis Beacon will formally merge their two newsrooms. It will be the first time a public radio station with a staff of journalists has combined its operations with another daily-news producing outlet. This is not an easy thing to do. For one, St. Louis Public Radio is owned by the University of Missouri’s Board of Curators, and top university officials must sign off on the deal. For another, both the Beacon and the station have strong brands, their own sponsors, their own content management systems, their own organizational charts — not to mention their own definitions of news and ways of producing it. Just as St. Louis is a city that is trying to reinvent itself, so are its media outlets. The Beacon is a $1.4 million operation with a staff of 18 — 14 of whom are reporters. St. Louis Public Radio has 12 people producing news within its $6 million operation. “I think Tim realized, ‘I need a much stronger news and content engine,'” said Freivogel, a former editor at the St. Louis Post-Dispatch. “He could see that he could build that one person or two people at a time. This is an opportunity to bring 18 people into his organization. That brings a lot of strength.” For her part, Freivogel knew the Beacon needed to build more revenue generation into its operations. In moving from the idea of an alliance, announced last fall, to a full-bore merger, the two organizations commissioned a study of what they were actually doing on their websites. “What we saw was the opportunity was huge,” Freivogel said. Both could improve what they were doing and deliver in-depth coverage of “things no one else is doing very well.” And they could give their news and information broader reach. For one thing, SLPR has the pipes; the Beacon does good reporting but it shows up in text and social media. SLPR’s website is mostly expanded radio stories. Although the two organizations share Washington stories and Beacon reporters do on-air debriefs for SLPR, things got more serious last year when SLPR moved into a new University of Missouri-St. Louis building in Grand Center, the heart of the city’s arts and cultural scene. It was also right next door to the Beacon’s offices at the public television station, Nine Network of Public Media, which also collaborates with the Beacon but is not part of the merger plans. Once SLPR and the Beacon signed the letter of intent in October 2012, they sought help making it happen. They got $40,000 from the Knight Foundation to pay for Rusty and Janet Coats of Coats2Coats to help them sort through content, vision, revenue plans, technical and branding issues, and governance. Working groups of staff members and board members participated. NPR is also working with SLPR to come up with solutions around its content management system. “We may be the guinea pig,” Eby said. “Don’t expect coverage of crime or the Cardinals,” he said. Instead, they plan a disciplined focus on politics, education, science and technology, health care, the economy, race, and arts and culture. For now, the parties are walking the plans through the university system, where some officials have expressed interest in adding an academic program around the merged newsrooms. The prospective partners are now “working intensely” on investigating academic opportunities that would align with a merger, Freivogel said. “The biggest thing,” Eby said, “is to make sure we can get this done in a timely fashion” and keep those donors who have stepped up informed of the progress. Underlying the mechanics of the merger, however, is a different vision for what is news and how to engage the community. Already the Beacon has partnered with community groups that news outlets don’t normally partner with to cover such issues as obesity and the role of arts as a regenerator of community. 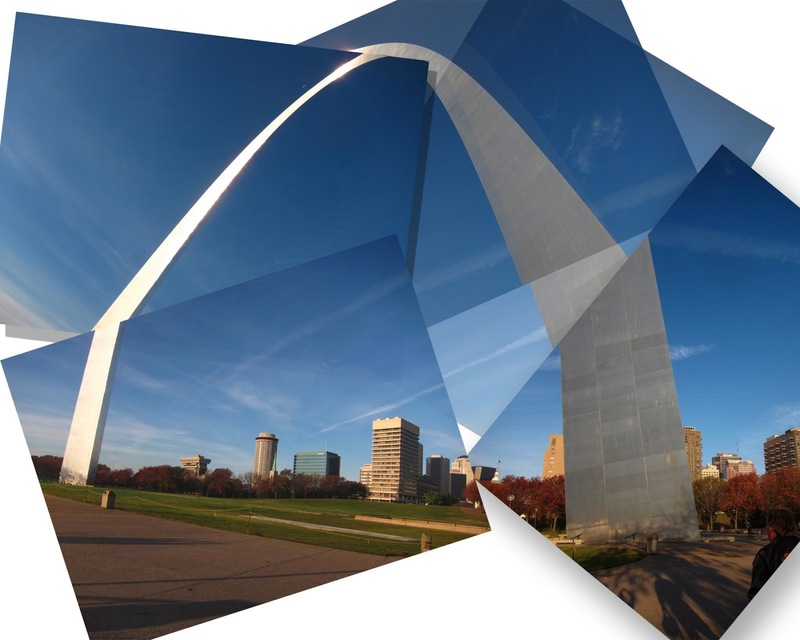 Photo collage of the Gateway Arch by Steve Eng used under a Creative Commons license. POSTED July 9, 2013, 1:06 p.m.
Schaffer, Jan. "In St. Louis, two news organizations are navigating the tricky path to a merger." Nieman Journalism Lab. Nieman Foundation for Journalism at Harvard, 9 Jul. 2013. Web. 24 Apr. 2019. Schaffer, Jan. "In St. Louis, two news organizations are navigating the tricky path to a merger." Nieman Journalism Lab. Last modified July 9, 2013. Accessed April 24, 2019. https://www.niemanlab.org/2013/07/in-st-louis-two-news-organizations-are-navigating-the-tricky-path-to-a-merger/.